Gordon & MacPhail has unveiled the designs for its new Speyside whisky distillery, which it hopes to build in Scotland’s Cairngorms National Park. The distillery, which is yet to be named, is being proposed for Craggan, near Grantown-on-Spey, and will become the first new distillery to be built in the National Park since it was created in 2003. The circular design of the building has been chosen to ‘disguise’ the day-to-day distillery operation, while materials used, including sedum roofs, will help blend the site into the surrounding landscape. 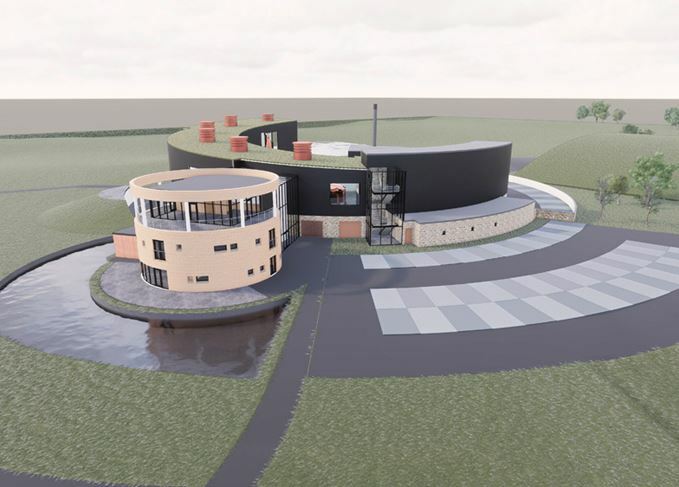 Once fully operational, the distillery will begin producing 375,000 litres of alcohol per year, but will be capable of distilling up to two million litres. Plans for the site were unveiled during a local consultation and exhibition in Speyside. Ewen Mackintosh, managing director of Gordon & MacPhail, the independent bottler which also owns Benromach distillery at Forres, said the local response to the plans had been ‘overwhelmingly positive’. Around 1.8 million people visit the Cairngorms National Park every year, which is twice the size of the Lake District National Park and covers parts of Aberdeenshire, Moray, Highland, Angus and Perth and Kinross. Gordon & MacPhail first announced plans to build a distillery at Craggan in May 2018. The historic bottler embraces change and continuity, 123 years after it was established. Tributes pour in to mark the passing of a ‘legendary figure’ in the world of Scotch whisky. The bottle of Private Collection Glenlivet 1943 surpassed its initial £30,000-£40,000 estimate. The independent bottler’s director of prestige talks family, time and drunken fishermen.